Ministry of Intrigue – Goodnight, Writer’s Ledger. Hello, Pacemaker. I’ve written here before about one of my side projects, a suite of productivity tools for writers called Writer’s Ledger. The idea began from a desire to convert the spreadsheets I use for tracking manuscripts to a reusable web app. The idea would be that you could define works/projects and track via revisions and writing logs how well you were keeping to plan, to give you a measurement of your productivity. I didn’t really have the time to devote to the project, but it was a fun way to dust off my coding skills and apply them to a problem whenever I could find a free moment. It’s been a long term hobby project. I can see from my commit history that it was first started over seven years ago, and the last commit was as recently as two weeks ago1. It was one of my first forays into doing TDD, and it was a fun project. Of course, at some point all things come to an end. Time has become more precious and I find that when I have it, I’d rather stay focused on the actual writing as opposed to making a new writing tool. When I made the last version bump for Django a few weeks ago, I realized it was time to set it aside. It was sad, because I really wanted an easier tool to use, but it was clear that I’d never have time to finish, much less support it. Imagine my delight when a few days later I discovered a viable alternative in the form of Pacemaker! Here was an app that did almost everything I had been intending WL to do, and far more elegantly. Pacemaker allows you to set up writing projects— among other things —with associated deadlines and can dynamically calculate a variety of work plan styles. 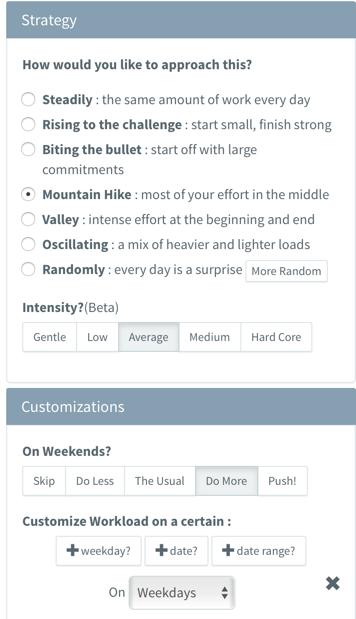 The amount of smart filtering it gives you in defining your work habits is pretty astonishing and kudos to developer Sarah Williams for her amazing work on it. 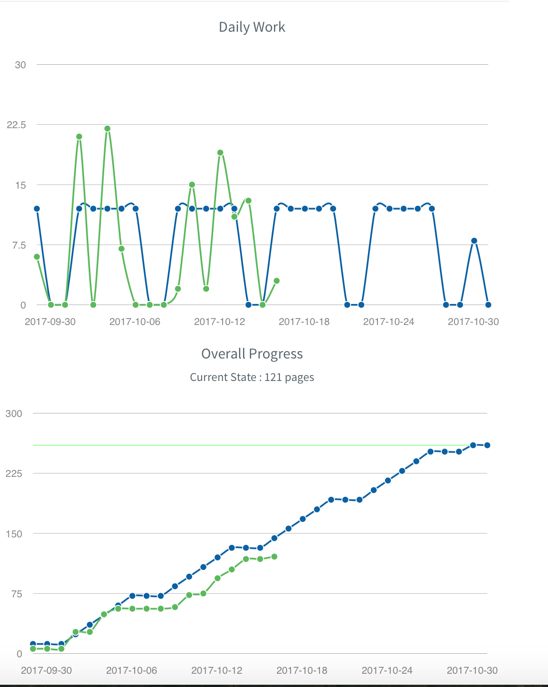 If you are a writer and looking for some way besides a spreadsheet to track your work, I highly recommend Pacemaker. Public plans are free and don’t even require an account2, and private plans are available for nominal subscription fee. Paid plans also get access to a combined calendar view that lets you easily keep track of multiple writing projects at a time, which is quite essential for me as I’m often working on multiple pieces at a time. This is a great app that makes life easier for creatives and academics, and I’m so happy it’s here.